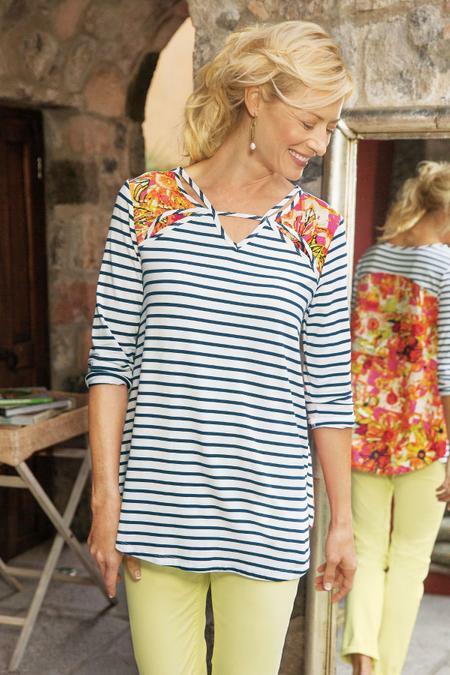 A fresh update to classic nautical stripes, our yarn-dyed jersey top is splashed with bright woven florals at the shoulders and back. More delightful details: an intriguing open neckline, 3/4 sleeves and sweeping, curved hemline. Rayon/spandex jersey; rayon/nylon. Misses 28-1/2" long.